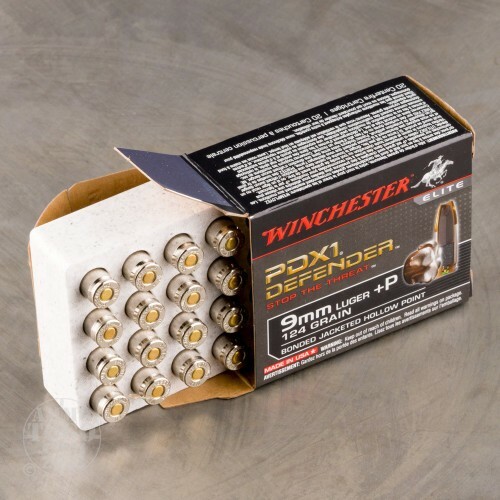 Winchester has designed their Defender line of ammunition in order to maximize the performance set forth by the FBI’s test protocol, and indeed the agency has employed this ammo extensively in their oftentimes dangerous line of work. 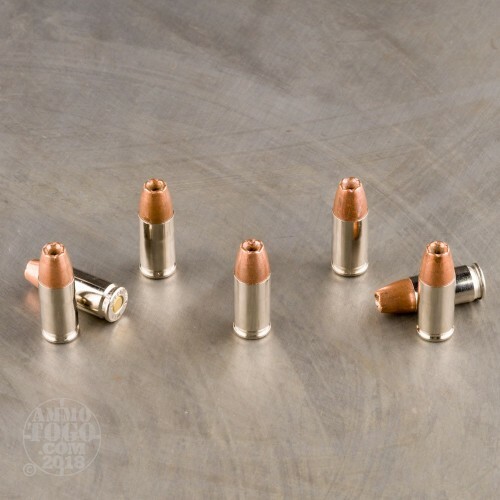 This 9mm +P round’s hollow point PDX1 projectile expands reliably thanks to the notches that the tip of its jacket sports, so it consistently widens to 1.5 times its original diameter over the course of penetration. This round’s bullet also penetrates deeply, even after having overcome tough urban barriers, because its bonded jacket and core are so tightly welded together. With such expansion and penetration on your side few threats exist that couldn’t be quickly and effectively neutralized. 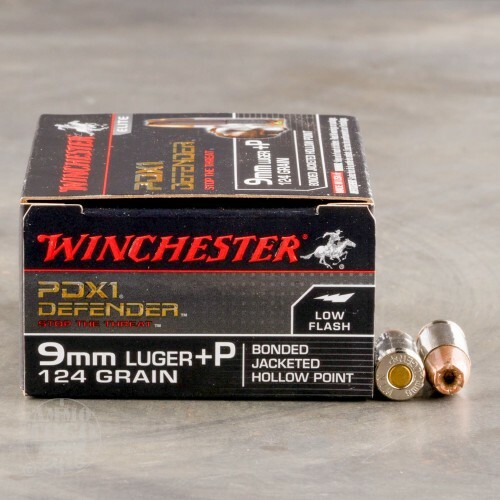 Winchester has outfitted this round with a nickel plated brass casing, so it feeds and ejects without a hiccup in a semi-automatic weapon and further won’t lose its effectiveness to corrosion. You may also more easily spot this round in the chamber thanks to its sheen, a feature of particular value should you ever have to draw your weapon in the dark. 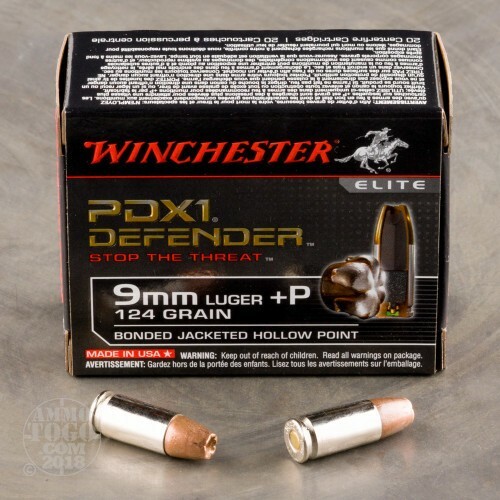 Please note that this is +P ammunition, and will wreak havoc on a pistol that isn’t rated to fire it.